Today's dance world is more competitive than ever before. Dancers hoping to attend college dance programs or join professional companies are expected to not just have perfect classical ballet technique, but to also have the ability to move in any style thrown their way. Our faculty has the knowledge and connections to fine tune your natural talents into the best and most marketable artist you can be. Students ages 10 and up who live to dance and are interested in a rigorous training schedule are placed in one of three division levels according to their strength and experience. For those wanting an unforgettable performance experience, we offer the Muses of Terpsicorps, a pre-professional dance company. Muses perform mixed repertoire shows that give every student a chance to shine in a diverse array of dance styles and techniques. 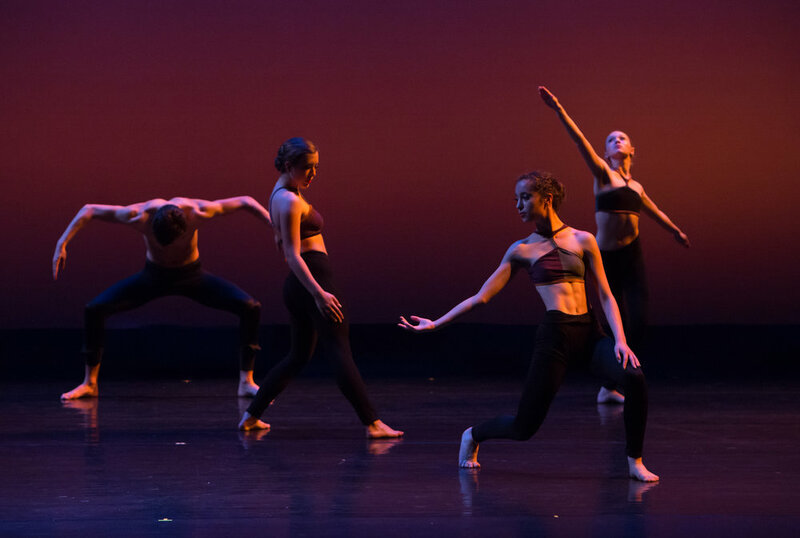 Nationally acclaimed professional choreographer Heather Maloy is the director of the program, creating and choosing works within each level's abilities and pushing them to become well rounded artists. Please see the summer schedule and contact us to set up a time to take a placement class. Please note: Division registration may be confusing with our online system. Please call or email for assistance. Classes begin August 20. Please see the summer schedule to participate in classes now. Look for Master Classes offered occasionally throughout the year. Tuition - Tuition is consistent month to month, except for August and May which are billed at half tuition. Tuition - Tuition prorates month to month, but Muses fees remain consistent... except for August and May which are billed at half. $240 for 6hrs of classes (prorating applies) + optional $72 Muses Fee = $312/month (includes 1.5 hrs rehearsals weekly + choreography & costumes) - If adding any optional classes, additional fees will be applied.